Jason Statham has the kind of rugged charm and self-aware swagger that wins over audiences quickly and allows them to largely suspend disbelief. It’s a valuable asset indeed with dealing with unashamedly silly action movie cliché’s. He clearly does his best to deliver predictably awful dialogue and to keep this film afloat. His presence certainly enhances the film considerably even if it might not be enough to save it overall. For those most avid addicts of the guilty pleasure giant monster genre it will be nice to watch one on the big screen rather than on late night TV. Even if the quality is sadly much the same. 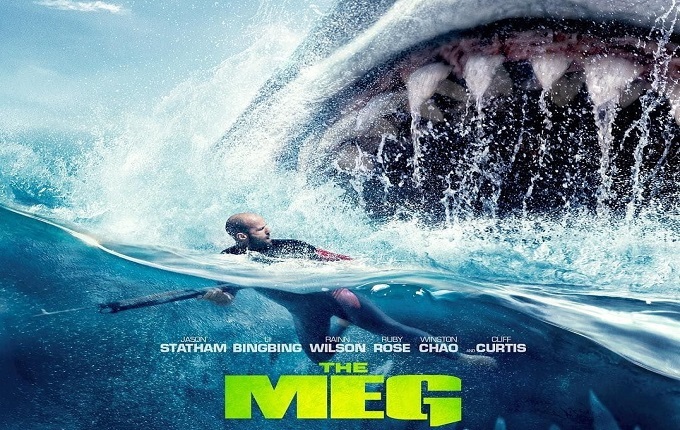 The Meg at least has a significant budget and a few familiar faces on show. The Meg offer some very occasional laughs and has at least a last minute flurry of action. Which thanks to the film’s 12 rating, can be watched by less discerning younger fans. At least the film is less likely to traumatise generations of people about going in the water like Jaws famously did. The Meg promised so much with a well cut trailer that worked miracles in projecting the film as a shamelessly silly and action packed monster thrill ride. Unfortunately those that flock to watch the actual film, hoping for big laughs and horrified gasps will find an embarrassingly short supply of both. Aiming for a family friendly rating has largely neutered any potential horrific delights, robbing the film of the kind of genuine terror that makes Jaws such an undisputed classic. There’s very few moments in the film that will raise adrenalin levels much beyond abject boredom. Likewise for a ‘creature feature’ whose posters shamelessly boast of the gargantuan size of this prehistoric monster shark the film largely fails to deliver anything like that sense of scale. Poorly crafted and inconsistent effects work means that the shark never feels anywhere near as impressive or fun on screen as it does in single poster shots. It’s also a shame to have to admit that the Meg gets surprisingly little screen time in a film that seems more preoccupied for large chunks with achingly dull family melodrama. It’s also worth noting that the internationally co-financed production makes repeated use of Chinese locations, characters and language. The pandering for Chinese box office appeal feels a little distracting at times, particularly when it seemingly forces the film to focus on the dull human characters instead of the giant monster mayhem. Even those most determined to enjoy the film thanks to its fun concept and appealing marketing campaign will find the slow paced, badly acted, lacklustre action and effects largely frustrates those efforts to take much pleasure from proceedings. The Meg had so much potential to be a perfect guilty pleasure, but sadly even Jason Statham’s gruff voiced charisma can’t distract from poor effects, non-existent plot and some truly atrocious acting. Even armed with a genuine blockbuster budget this film doesn’t offer any more than the typical forgettably awful monster movie that clogs up late night TV and the straight to DVD bargain bins. Scott Lang serving the final days of his house arrest finds himself once again caught up in an adventure of both miniature and massive proportions as he joins forces with Dr Hank Pym and erstwhile love interest Hope Van Dyne to tackle a mysterious new foe and solve the dangerous mysteries of the quantum realm. Ant Man and The Wasp is a solid sequel for one of Marvel’s less mainstream heroes that keeps much of what worked about his first solo outing. The film showcases a great array of action sequences that makes the absolute best of the unique opportunities afforded by both the miniature and massive proportions offered by the Dr Hank Pym’s technology. Those flawless effect and inventive set pieces combines effortlessly with the film’s playful comedic tone. Paul Rudd is an ageless star blessed with an embarrassing abundance of natural charisma. His famously endless supply of charming one liners and innate likeability looks in no danger of dwindling any time soon. He is able to make Scott Lang the perfect mix of endearing buffoon and faultless hero. Having done such a good job establishing the character and transitioning to being a genuine action star in the first film, he seems even more at home in the superhero suit this time around. Likewise Evangeline Lily and Michael Douglas are on typically stellar form as Dr Pym and titular new hero The Wasp. This film even further fleshes out the emotional layers to their relationship and past that the first film did such a good job in establishing. 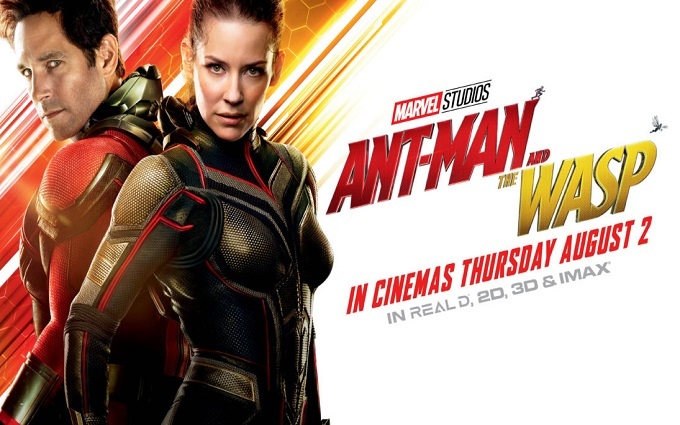 Evangeline Lily in particular is sensational in her super suit, given even more prominent action responsibilities this time round. Obviously having At Man and The Wasp working in tandem provides even more fun opportunities for action packed fun, which the film takes full advantage of. Michael Pena as Scott’s swift talking comedic sidekick Luis was a scene stealing delight in the first film and he is yet another welcome feature of a sequel which matches and frequently surpasses the original. The addition of Michelle Pfeiffer, Hannah John-Kamen and Laurence Fishburne to the cast is just another example of the abundant embarrassment of riches the MCU has to offer. Those waiting agonisingly to see the resolution of the Infinity War story arc will no doubt feel a little impatient to get to that conclusion and may have a little less initial enthusiasm for this film because of that. While perfectly crafted and self-contained it’s fair to say this is a sequel that in a wider sense very much represents treading water for the MCU. After years of seeing major character introductions and pieces of a much larger puzzle being laid in place fans may have come to merely expect those moments. That is perhaps the only film this film fails to deliver though and it is undeniably brilliant in its own right. After the dark and emotionally devastating climax of Avengers Infinity War this fun spirited standalone adventure serves as a welcome pallet cleanser for Marvel fans. Armed with impressive and original action, a well-crafted plot and a very likeable cast this is a perfect second outing for Marvel’s most diminutive hero. The scheming young inhabitants of a rundown British seaside resort in the 1990s plot increasingly ill-advised pathways to quick cash and eventual escape. A heady mix of boredom, betrayal and bad behaviour combining to create frequently hilarious consequences. Confidence perfectly captures the spirit of a young generation trapped between delusional self-confidence and more depressing realities. As illustrated by iconic audience favourites like Only Fools and Horses, clueless optimism and hapless aspiration are a particularly potent source of endearing comedy. The production’s compact neon drenched set provides an imaginatively versatile and effective backdrop for the story. Combined with the quirky costumes it efficiently illustrates the amusing contradictions between the youthful hyper optimism of the 1990s and the languid depression of once popular seaside towns stuck in a pattern of terminable decline. At the centre of this world Tanya Burr gives a truly great performance as Ella, the brazenly ambitious and ruthless teenage temptress determined to improve her own good fortunes at any cost. Burr’s performance has a convincingly sneering swagger far removed from her own familiar sweet nature. Ella is consistently crude and selfishly cynical with occasional flashes of desperate vulnerability. It’s an impressively foul mouthed and fragile transformation from the popular YouTube beauty blogging superstar. 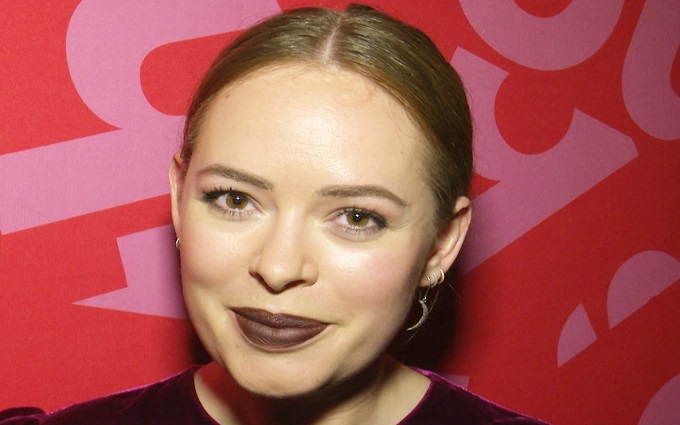 This bravely uninhibited performance alone should be more than enough to silence any detractors that question the commitment or talent of Tanya Burr based solely on her distracting social media success. Around Burr’s provocative character the rest of a fantastic cast populate the seaside wasteland Ella struts around with people who are equally clueless and complicit in her dubious entrepreneurial schemes. The ensemble do a fine job of maintaining a consistent darkly comedic tone throughout. A dead hamster and a most unlikely use for a Cadbury’s Flake are just a few examples of the play’s deliciously silly and sharp edged running punchlines. Overly unsympathetic audiences may find the predictably disastrous consequences of the character’s deluded antics a little less endearing. While many people gleefully enjoy watching the inevitable failings of the self-deluded, for some it’s can be more of an ordeal than amusing. For those people it’s only fair to warn that Confidence offers up cringe inducing comedic moments with shameless frequency. Confidence delivers plenty of laughs and scheming plot twists, propelled by a brilliant cast and Tanya Burr’s ferociously charismatic performance. The play is arguably more fun than an actual trip to the seaside. The film charts the adventures of a young Han Solo, before he became an intergalactic hero. Finally revealing how his dreams of escaping to the stars helped turn him into the galaxies most infamous space captain. Along the way he encounters his faithful first mate Chewbacca, notorious hustler Lando Calarissian and the fastest hunk of junk in the galaxy the Millennium Falcon. 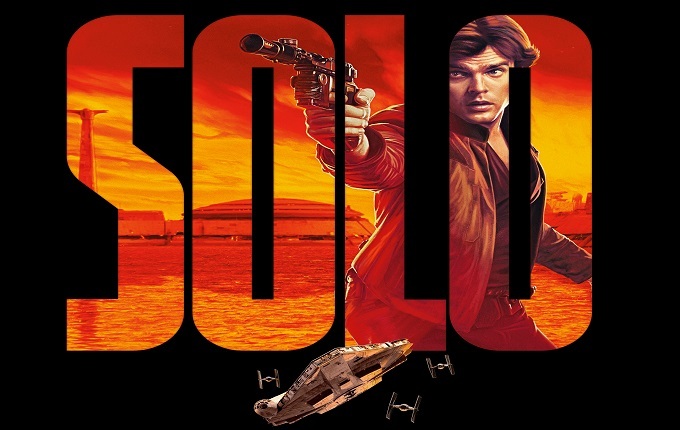 With a reported $250 million budget Solo is definitely a full-fledged addition to the Star Wars Saga featuring a parade of familiar and much beloved characters. The film showcases some typically magical creature effects work and the usual array of immersive worlds. Whatever it’s other flaws and failings, Solo does at least look like a Star Wars story. Given the well-publicised production nightmare that saw original directors Miller & Lord replaced last minute by Ron Howard, prompting major reshoots of the nearly completed film, it’s fair to say that it’s not immediately obvious from the final film that such a messy transfer of storytelling power took place. There’s no mismatched plot points or abrupt visual shifts that would suggest that the script and finished film was actually stitched together from radically different ‘artistic visions’. Despite some criticisms of casting choice for the Young Han Solo, Donald Glover is at least one undeniable piece of major casting success. He vocally channels Billy Dee Williams perfectly as swaggering swindler Lando Calarissian. Clad in garishly jaunty capes and shamelessly well-groomed facial hair, young Lando is a much needed jolt of genuine comedic charm. A solid supporting cast of earnest character actors such as Woody Harrelson and Paul Bettany also give credibility to some of the film’s new introductions. The film at least attempts to venture into some new territory, rather than just entirely relying on lazy homage to familiar characters. Star Wars fans with a particular passion for completism will enjoy seeing details of how Han Solo became a dashing space scoundrel, befriended loyal Wookie companion Chewbacca and ended up as Captain of the Millennium Falcon all finally revealed. As one of the most popular and layered characters in the galaxy far far away, Han Solo was an obvious biopic choice in the ever expanding Star Wars franchise. Harrison Ford’s performance as Han Solo catapulted him to superstardom and showcased the absolute peak of his raw charisma and instantly iconic screen presence. Finding a young actor capable of delivering a compelling original performance whilst also channelling Ford’s familiar mannerisms and good looks was always going to be a predictably impossible task. Despite reportedly auditioning over 3000 actors for the role and getting personal advice from Steven Spielberg, sadly the film failed to satisfy the unfeasibly high standards required for this crucial lead role. While with plenty of obvious help Alden Ehrenreich occasionally manages a brief passing physical resemblance to Ford, sadly he never comes close to matching the appealing screen presence Ford delivered in one of his most iconic roles. His flat delivery frequently lacking sincerity and intensity, does little to elevate an already lacklustre script. Game of Thrones star Emilia Clarke also struggles to transfer her small screen appeal to a bigger setting. As with the awful Terminator Genisys, she once again proves sadly lacking in both range and screen presence. It’s becoming increasingly clear just how reliant she has been on Game of Thrones perpetually hyping her character. Without a barrage of ‘mother of dragons’ memes to forcibly enthuse audiences her actual performance is left cruelly exposed. Beyond weak central casting Solo suffers from many of the common issues plaguing prequels. The storytelling feels frequently redundant and fails to live up to the high standards of the well-established characters and their already familiar adventures. Sadly Solo offers little in the way of new dimensions to existing characters or memorable new action sequences. The film flies through a mostly predictable plot that delivers few moments of genuine consequence or entertaining surprises. Iconic contemporary artist Mark Rothko and his young assistant Ken work together over the course of several years on a series of iconic paintings that would prove to be one of Rothko’s defining artistic achievements and tragically significant. Along the way the pair exchange fiercely passionate ideas about the true power and purpose of art. Alfred Molina is a veteran actor widely celebrated for his varied and accomplished work on both stage and screen. It’s testament to his truly impressive range as a performer that he is just as comfortable playing a robot limbed Spider-Man villain as he is portraying one of the most complex icons of serious contemporary art. Having originated the role of Mark Rothko in the original production nearly a decade ago Molina has only grown more into the piece. Consequently this latest production sees Molina imbued with even more gravitas and wizened intensity. Opposite Molina, young Harry Potter star Alfie Enoch has a daunting task as Rothko’s young and initially overawed assistant Ken. The role had previously bene played by Eddie Redmayne and Jonathan Groff, leaving impressive shoes to fill. It’s a credit Enoch that he never feels overshadowed by his predecessors and manages to stand toe to toe with Molina’s commanding performance. In particular he does well at playing both a timid student and emboldened idealist. One of the play’s most rewarding features is the genuine chemistry between this talented new pairing, in a fiery relationship that evolves frequently throughout a brisk 90 minute running time. Crucially the New York Studio setting of their fractious debate is bought to life frequently with the very real activity of paint splattered canvases. It’s easier to understand and lend credence to their discourse on artistic theory while witnessing the actual creation of art. Beyond the personal dramas of Rothko and his young apprentice this production carries a simple message that art in all its varied forms is important. This is a timely reminder in a world which is largely more cynical about celebrating this fact than it perhaps once was. Those that struggle to find meaning and emotional significance in the world of modern art will perhaps be less receptive to the production’s lengthy musings and unashamed celebration of art’s self-declared importance. While Molina is an undeniably charismatic performer, it’s also fair to say the Rothko is a complex, turbulent and at times difficult figure. His stubborn drive and single minded focus are a key feature of his genius but it is sometimes daunting and perhaps even off-putting. Especially for those that struggle to share that same sense of desperate urgency over a paint drenched canvass. Indeed while the production is insistent on showcasing the actual work of being an artist. Those who don’t find a sense of wonder in the end results will be left less enchanted by the relative mundanity of paint mixing and frame assembly. 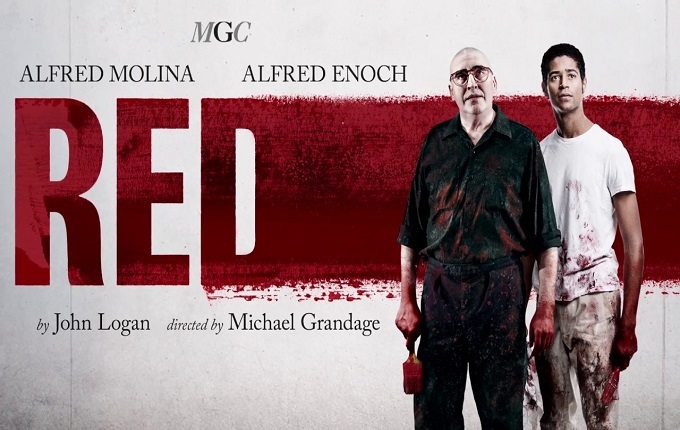 This fresh revival of John Logan’s acclaimed and award winning production gives London audiences another chance to experience a visceral performance from Alfred Molina and examine the explosive passion behind one of the seminal artists of our time.